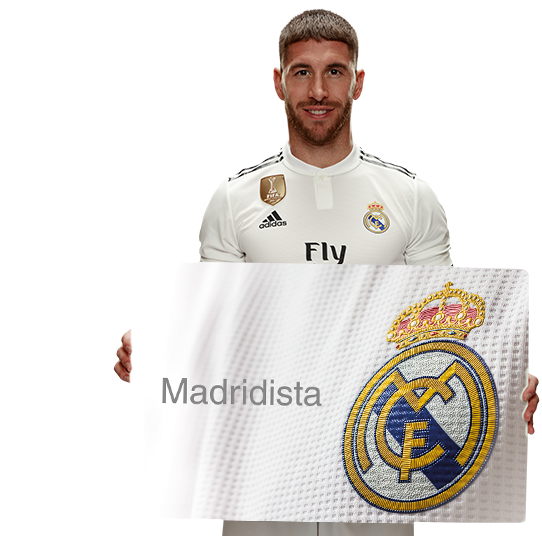 Apply for your Madridista card between the 16th of July and the 16th of August, and you will enter the draw to be Madridista number 1.000.000. Sergio Ramos will give to you the card in person if you are the winner! In addition, benefit from a 50% discount on the first year’s fee*. 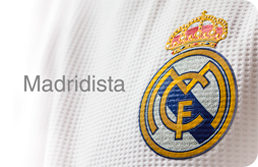 Real Madrid Newsletters and Hala Madrid Online Magazine. 15% discount on the Online Store and 5% discount on the rest of the Official Stores. Exclusive service for Hospitality ticket purchase. Monthly draw of Madridista packs and Hospitality tickets. Annual draw for a trip to Madrid for two. Exclusive draws and promotions to win fantastic prizes and experiences. * Promotion valid only for digital registrations from the 16th of July and the 16th of August 2018. The 50% discount applies to the first year's fee. After the first year, the prices will be: Basic International €35, International Junior Basic €20, Special International €60 and Special International Junior €50. The version of the junior card is for children under 14 years of age.. Become a part of Real Madrid C.F.